Shelley Brown joined the AIR program at the time of its founding in 2006. She has participated in numerous Playwrights’ Platform and Boston Playwrights readings as well as the Playwrights’ Platform festivals. 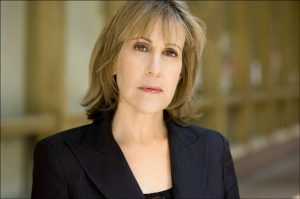 She is a founding member of the Titanic Theatre Company (Rita in The Lyons, Luella in Why Torture is Wrong and the People Who Love Them; Peg in The Third Story) and a longtime performer with other regional companies, notably Zeitgeist (Abby in A Great Wilderness, Woman #1 in The Big Meal, Hilda in Neighborhood Watch) and Apollinaire (Samantha in Dead City, Arkadina in The Seagull, Bernarda in The House of Bernarda Alba). She’s also performed in numerous new play festivals such as the Boston Theatre Marathon, SLAMBoston, and the T-Plays. IRNE nominee (best actor, Marvin’s Room, Theatre Coop); IRNE winner (best ensemble, The Women, Speakeasy); Elliot Norton nominee (best ensemble, The Big Meal).